The SAVES project was an inter-dormitory energy-saving competition that ran in dormitories at 17 Universities in five countries over the academic years 2014/15 and 2015/16 (50,314 students in total over two years). The project was funded through Intelligent Energy Europe and took place 2014-2017. SAVES 2 builds on this project. SAVES focused on students as a distinct group of consumers, many of whom lived away from home for the first time and were adopting new energy-usage habits. 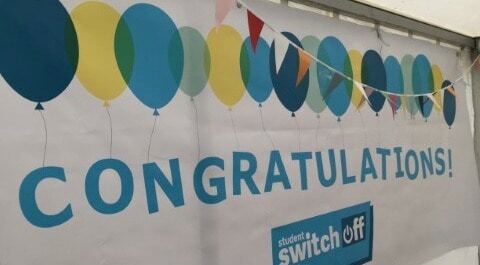 SAVES provided quality engagement with students, enabling, empowering and motivating them to save energy through the Student Switch Off campaign– focusing specifically on the last stage of the ‘Awareness, Interest, Desire, Action’ framework. By developing student champions in each block of each dormitory, and by motivating the champions to encourage their peers to save energy, competitions were created between students in dormitories, each competing to save the most energy and win prizes. SAVES tapped into online student communities through social media, using engaging digital communications to raise awareness of how students can save energy in a fun way. SAVES used smart meter data to run real-time energy challenges, inform students how much energy they are using, and encourage peer to peer learning. The following can be contacted in relation to queries.